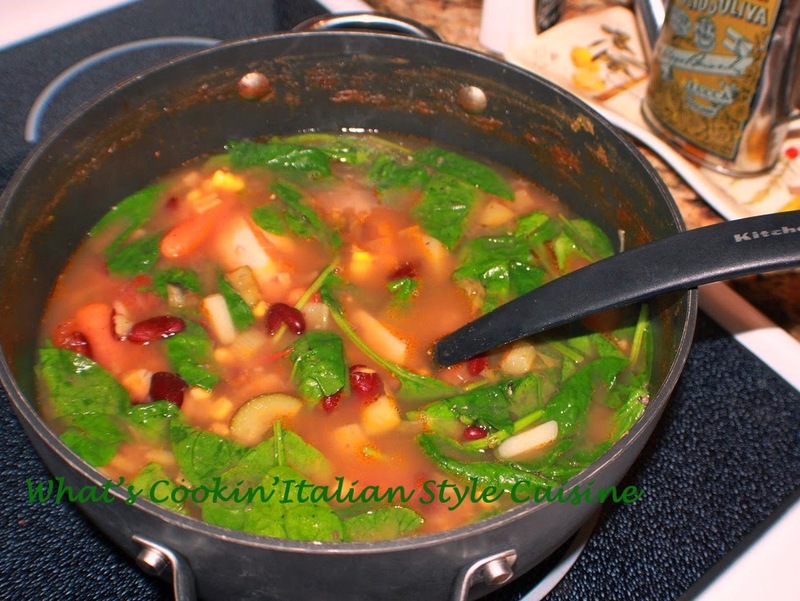 I don't make many all vegetable soups recipes with the meat lovers in my home but this is one we love because of it's hearty bold flavor. It you love beans this one is for you! It's also much lower in fat and will be favorable on your waistline! In a 5 quart of larger saucepan, saute garlic in 4 tablespoons oil then add all ingredients. Simmer on low for at least 3 hours until all vegetables are soft and cooked. You can boil and cook your favorite noodles in a pan and add the drained pasta to this pot after this soup is cooked, if desired.